Wild horses…couldn’t drag me away…. 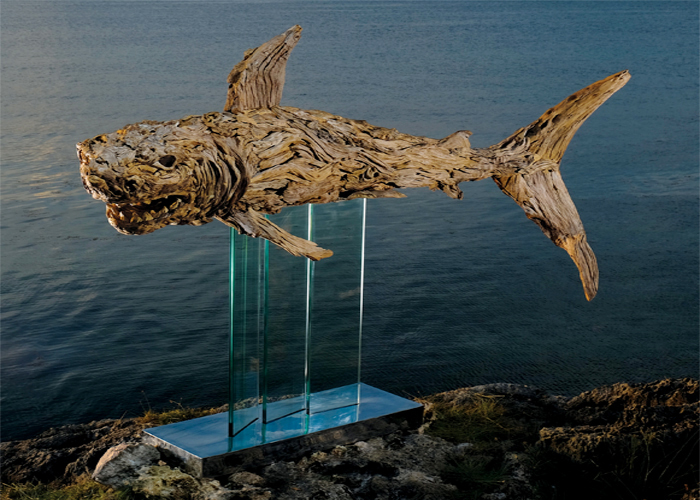 The amazing power of life and freedom has been captured perfectly in sculptor James Doran-Webb’s breathtaking driftwood sculptures. 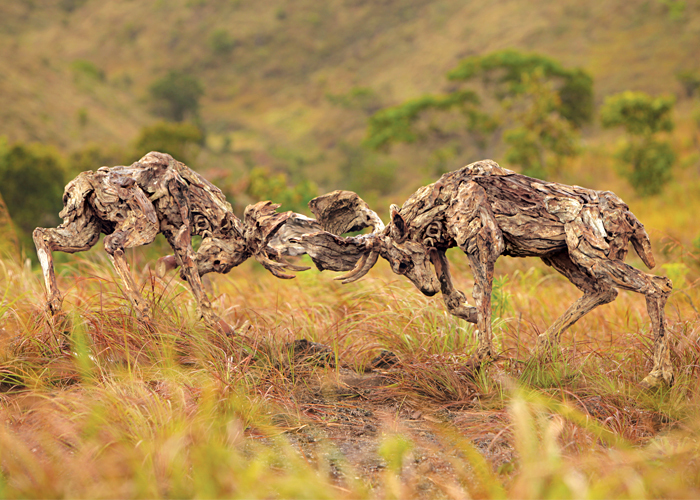 The driftwood’s seemingly unique forms lend themselves perfectly to figures such as wolves and horses and dragons. Working together with a team of craftsmen, it can take 1,000 to 3,000 hours to make a life size sculpture, depending upon the complexities of the armature and anatomy. 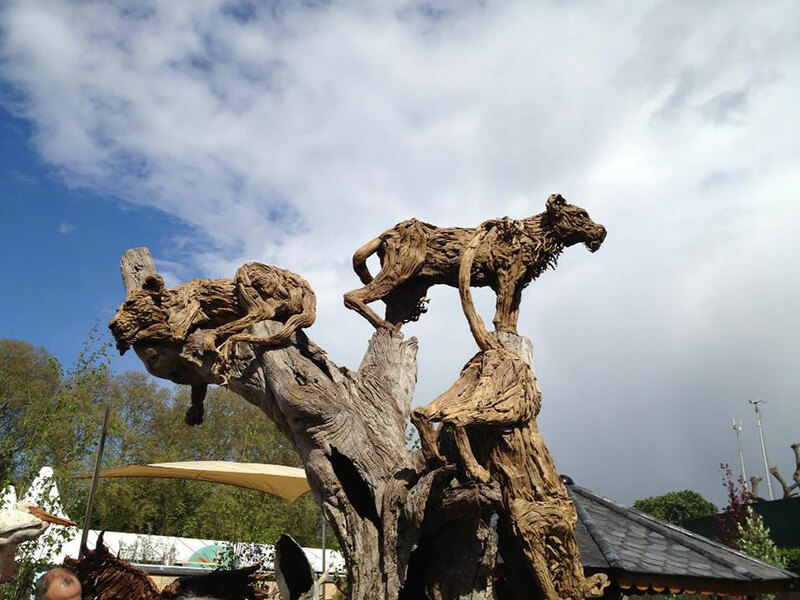 James started to design driftwood furniture in the early 2000’s and it was while playing with the various natural forms that he was drawn to experiment with his first driftwood animal sculpture. 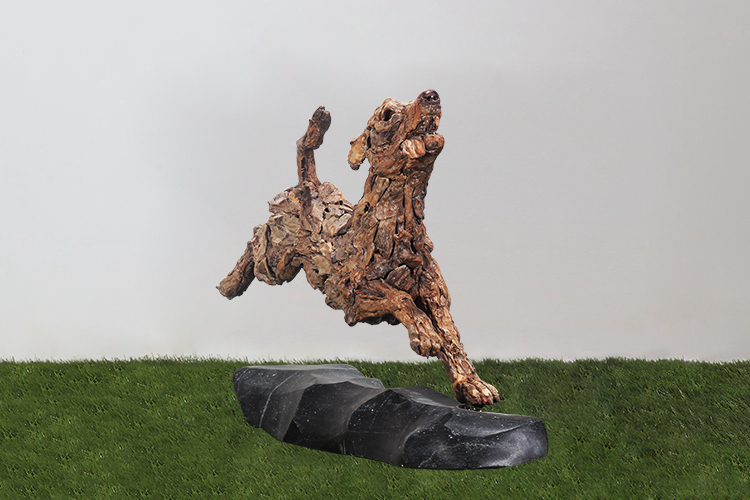 His large supply of wood has made it possible for him to find the pieces which most lend themselves to the natural form and shape needed to give his animals the movement and reality he strives to obtain in every piece he creates. 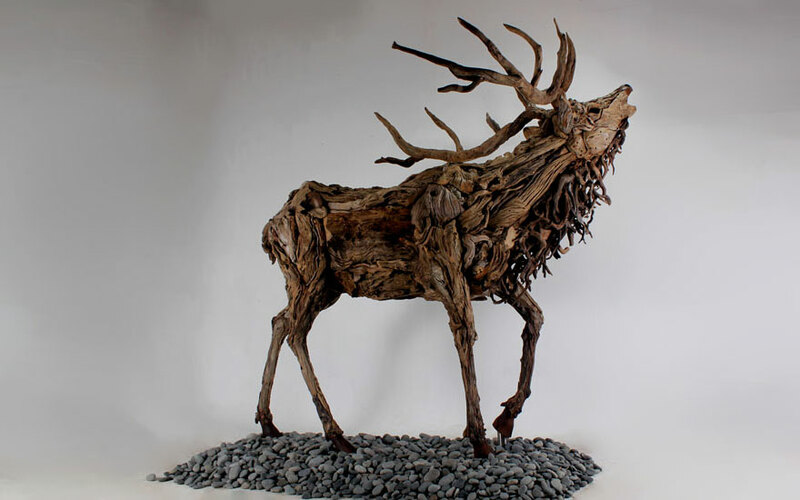 James Doran-Webb believes that his art is meant to promote environmental consciousness. 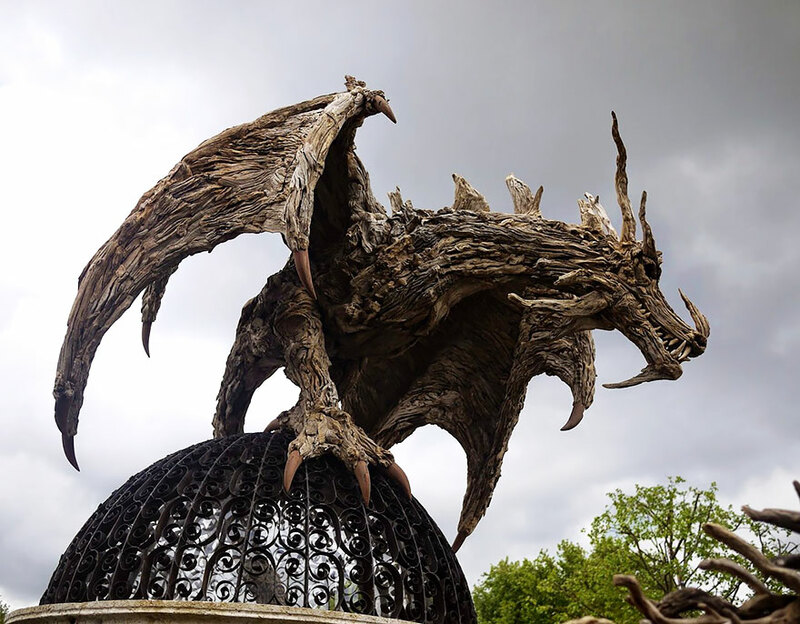 James Doran-Webb‘s fantastic driftwood sculptures can be found at his website, http://jamesdoranwebb.com; a great article also can be found at http://www.boredpanda.com/driftwood-dragon-sculptures-james-doran-webb/. I agree! I love it when artists take simple pieces and make a masterpiece! I know! 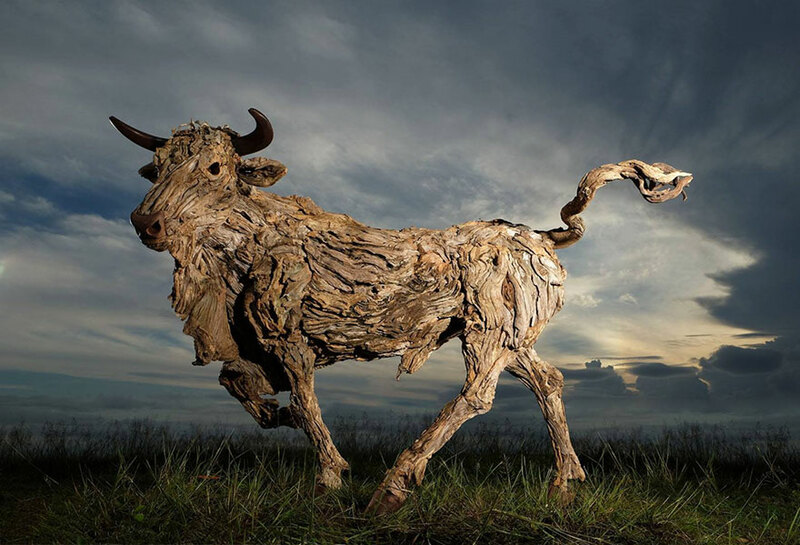 And the muscles on the steer and the dragon — amazing how someone can look at a piece of wood and see such magic.